Optimize the integration of threat intelligence in your security intelligence solution to speed security investigations. Learn how threat intelligence can enhance the detection and prevention capabilities of your existing security solutions. This demo provides an overview of the IBM X-Force Exchange platform. 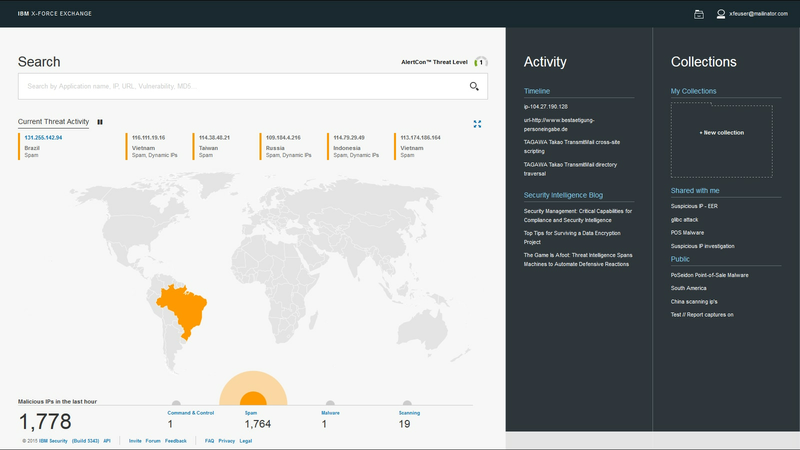 Combat the latest security attacks with global threat intelligence. The IBM X-Force research team collects, analyzes and distributes threat intelligence to IBM customers. Learn more about the features and benefits of the Commercial API.